Lasko fans are probably the best you can find in the market. While there are multiple manufacturers, you research and check reviews to find the best where every dollar will count. It has 3 quiet speeds that allows you to adjust in different scenarios and time of the night. Also has a durable metal frame with removable front grill. The 20-inch diameter blade makes it much easier to determine a suitable speed. The light home and kitchen appliance has controls mounted on the top for easy adjustments; the shape is also suitable for different base, you can place it anywhere. If you have the traditional mentality of an oscillating fan, then this tilt option by Lasko will suit your needs. The effectiveness of a machine has something to do with mental conception. 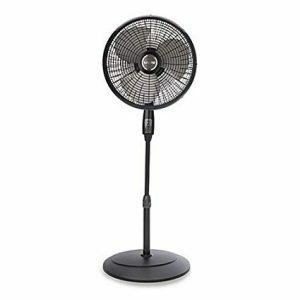 It has a strong base that supports the fan with adjustable lengths depending on your airflow needs. It comes with a remote control and durable pedestal. The fan is installed with an on/off timer that increases flexibility. You don’t have to wake up in the night to switch off when you feel a distraction from the blades rotation or too much airflow. While a remote would be better, the timer works just fine. 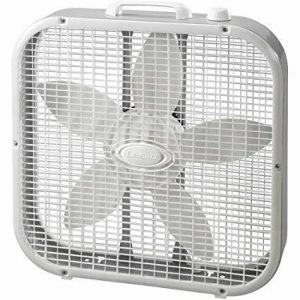 The fan is pivoted at the base to increase flexibility of airflow direction. The high velocity fan ensures you have full speed and consistent airflow depending on the size of your room. The tagalong is perfect for cooling in kitchen and other outdoor tasks. It is integrated with a safety circuit breaker and a power cord with grounded plug. The quality of the product is guaranteed with ETL and comes with 1-year warranty. 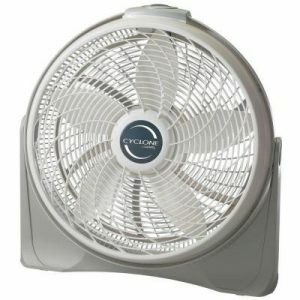 If you need a noise free and fresh environment then the cyclone fan is your best option. While it functions like all other types of fans, the blades move in succession hence minimal noise, if any. The speeds are exemplary; can be adjusted by a knob on the side between three levels. Contrary to other reviews, increased speeds reduce noise. You have to choose between a plastic and metal stand fan. It stands on a firm plastic base that adjusts the height depending on your room and airflow needs. 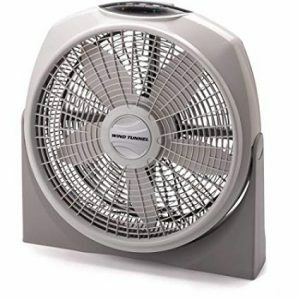 The 2521 fan rotates at 90 degrees to enhance air circulation in all parts of the room. The benefit of oscillating Lasko fans is obvious; you are assured of equal supply of fresh air in all parts of the room. Pedestal fans are only made of plastics. However, this should be any reason for you to doubt its stability and durability. The plastic is toughened to sustain physical shocks from falling and mishandling. 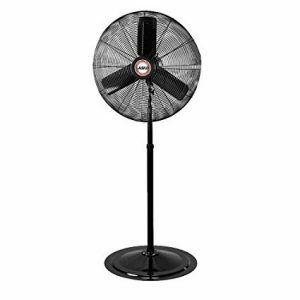 The fan comes in different sizes that determine its stand length. The length adjustment feature is the only missing element on the fan; you have to be sure of your length needs before making your order. Unlike other Lasko fans, it is simple to assemble and clean a pedestal fan. After regular use over an extended period, it is wise to dismantle the parts from the base to the blades and clean them with necessary equipment. Lasko fans also need cleaning because dust and other elements accumulate on the blades hence possible malfunctioning. This is suitable for large air circulation, in big rooms. The performance and power of the industrial fan is undoubted. I know you must be thinking about energy consumption, worry not. Energy consumption of an industrial fan is not exaggerated; it should be nothing of concern. The speed and high performance is attributed to the 30-inch blades and powerhouse speeds that result in efficiency of the fan. The adjustable height also makes it convenient and suitable for a large room. 92 inches, which is the highest length is suitable when a room is full of people and the air is noticeably stagnant. In such a case, full speed may not be necessary, height and positioning of the industrial fan will matter. Be sure to place it in a central position to allow uniformity of airflow. Oscillation increases efficiency of the industrial fan. 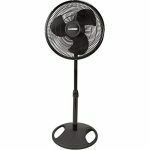 It can be adjusted with multiple pull-cords on the stand and side of the fan. The distinguishing characteristic of a wind tunnel from other Lasko fans is its safety plug. 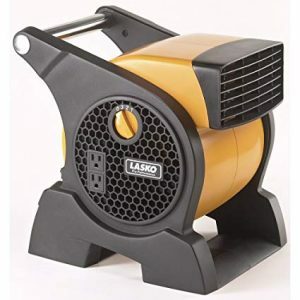 It serves a wide area hence taxing on energy; you might want to feature additional power costs if you consider using a wind tunnel among many Lasko fans. Typically, it is mounted on walls to function as an air conditioner. While it depends on size and nature of your room as well as environmental elements of your location, the fans work best in numbers; mounting one may not give you the gentle breeze you desire. It has a 20-inch blade diameter that attributes to its power and exemplary performance. The blades are controlled with a knob that you easily switch between three speeds depending on temperatures in the room. If you have mounted several wind tunnels, the controls are positioned in one location for easy management. However, each wind tunnel is independent. Lasko fans are incomparable. High performance, durability, and flexibility is the focus of the manufacturer as evident in all lasko fans. Quality and durability of Lasko products attribute to its market position since its establishment in 1909. The company specialization on wind machines and fans has also contributed to its popularity across the world. The first considerations when buying a fan or air conditioner should be the manufacturer; it gives you an idea of the quality to expect. 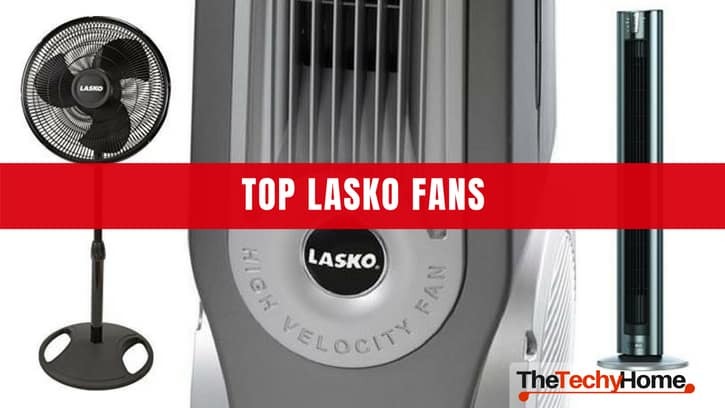 This is probably the tallest fan you will come across in Lasko product reviews. 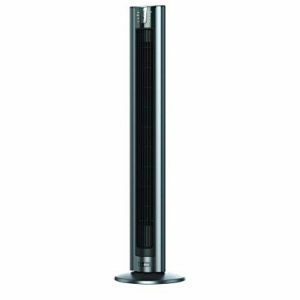 Tower fans are choices for numerous people because of their flexibility and design. Without checking the specifications and performance level on its package, you be already in love with this fan. Lasko tower fans mostly come in gray and shades of black, which easily blend in with your home décor. The standalone design makes it easily mistaken for an audio device or speaker. It is simply classy. The ion button on this Lasko model distinguishes it from every other tower fan. It actually feels like an air conditioner. You might be in doubt of its performance because of its small structure until you plug it in. 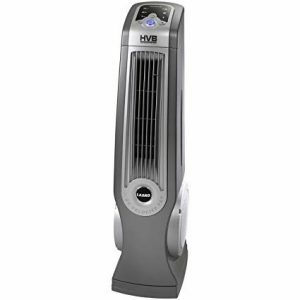 Lasko 2554 is not any other tower fan in your home; it delivers gentle and cool breeze. It doesn’t matter whether it is too hot in summer or extreme low temperature sin winter, the tower fan can be adjusted to cover your specific needs. On the side, there are 3 buttons that help with adjusting speed. Besides the speed buttons, there is a knob for manual adjustments on orientation of the fan. Be sure to place it on any corner of your living room and you will experience the breeze from wherever you choose to sit. Among Lasko tower fans, you might want to go with this because of its portability and flexibility. It is not only light because of the plastic material, which you can hardly notice on the exterior but also the handle on the top. The shiny aluminum is only to enhance the design; no one wants an ugly fan in the living room. In fact, if you are concerned about home décor, the wind curve with fresh air ionizer is your best option. The colors blend in easily with any of your furniture; gray and black are universal for any home equipment. You might realize the color is similar to your audio devices surrounding the living room. 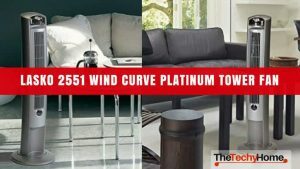 Most of Lasko tower fans have fresh and cool breeze; however, this wind curve fan is incomparable. The ionizing component distinguishes it from the rest. 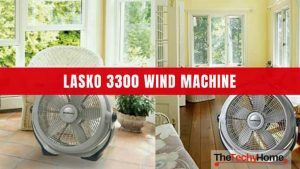 If you are looking for a Lasko tower fan that saves on energy, here is your answer. Most reviews will not mention the energy consumption levels of electronic equipment. We all know any additional electronic device unless it is a speaker has an impact on your monthly bill. You might want to cut on the bills or avoid unnecessary expenses by considering this tower fan. It functions like the rest of Lasko tower fans with a sleekness exception. The 48 tower fan is incomparable in design. Interior décor will be complemented by this in your living room. It is also available in a variety of colors hence suitable for any home. It does not matter your color preferences and home design, a 48 tower fan will fit in. 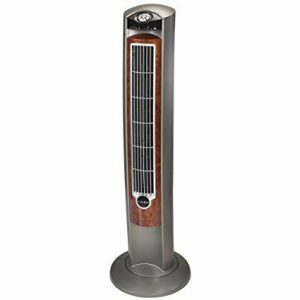 Here is one Lasko tower fan that you won’t bother to get up from the couch to switch off/on; remote control ensure you adjust its speed and orientation from a distance. Apart from its slim face and attractive design, the oscillation and fresh ionizing component makes it unique. If design is your priority then this is the best for you among all Lasko tower fans. It stands 20 inches from the ground with a slim and sleek face, which is noticeable from a distance. 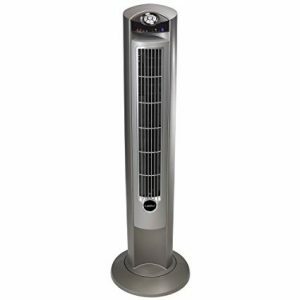 Unlike many of Lasko tower fans, this high velocity tower fan is incredibly fast and effective. Most likely you will reduce the speed few minutes after switching on in extreme temperatures. It is integrated with a patented fused safety plug and a coarse handle for firm gripping. The efficient timer also increase sits popularity among appliances of its class. These two Lasko tower fans have the same performance levels and price ranges. It is difficult to make a choice between the two because the only notable differences are in design and noise. 2554 wood panel finishing and less noise pleases many customers. The Lasko 2551 by the way is the Amazon’s Choice in the category of Tower Fans. Check its page here.